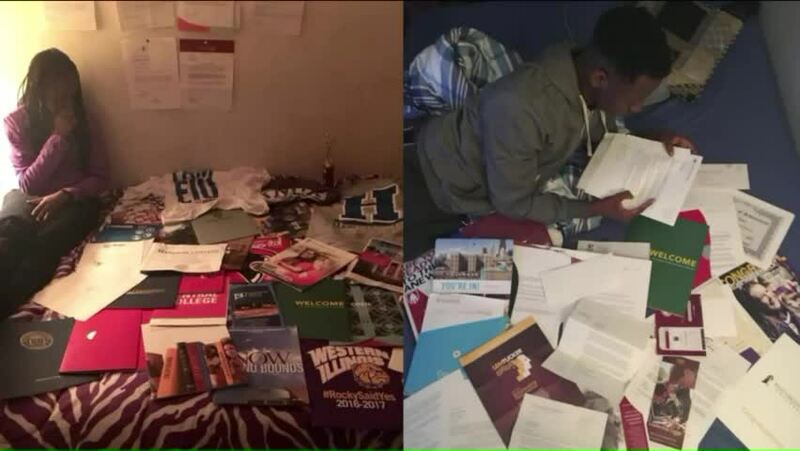 CHICAGO -- Twins from Chicago have raised the bar when it comes to achieving in high school. They have been accepted to a combined 56 colleges. According to the Huffington Post, Deprice and Shaprice Hunt have earned nearly $1.6 million in scholarships. Shaprice has been accepted to 35 colleges. Two of them have offered her a full-ride scholarship and five others have recruited her to play basketball. She earned $1.3 million in scholarships, the Huffington Post reports. Deprice, who is a youth activist in Chicago, has been accepted to 27 schools and offered two full scholarships. The Huffington Post reports he earned $300,000 in scholarships. In addition to their acceptances and scholarships, the twins also have perfect attendance. They say their goal is make sure their mom doesn't have to pay for their college.